My Chinese mother-in-law is gone now, she just left a few hours ago from Hamburg Airport and life goes on its normal path once again. This week was pretty busy as we had some little sightseeing tours in different cities around here which started with Kiel last week. The next stop on our sightseeing list was Lübeck, another port city in this state and roughly 45 min driving distance away from my hometown. I have been there before only for swimming competitions and once long time ago during a school trip and thus I had to check myself what to visit before going there. Lübeck or the Hanseatic City of Lübeck is the second largest city in the state of Schleswig-Holstein and has around 200.000 inhabitants. 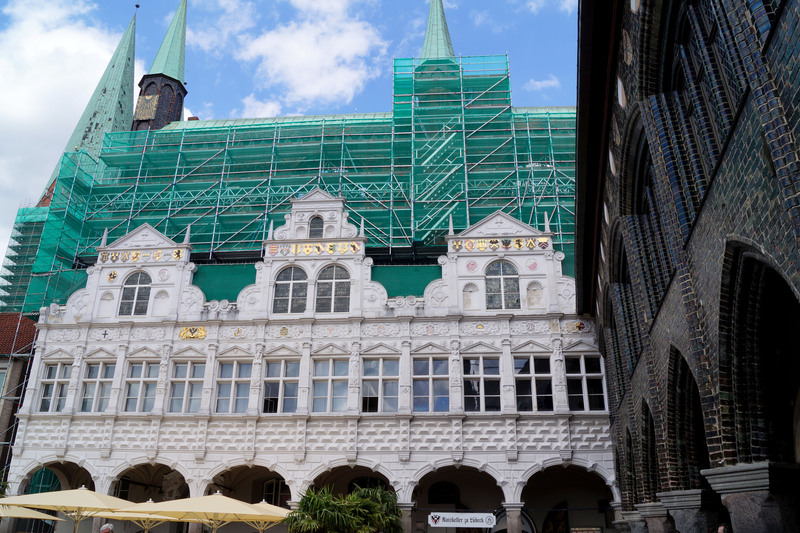 It got its Hanseatic title back in the day and was known as the “Queen of the Hanseatic League” during the 14th century. Even though the city suffered also a lot during the air raids during the second World War there is still very much of the historic center left. 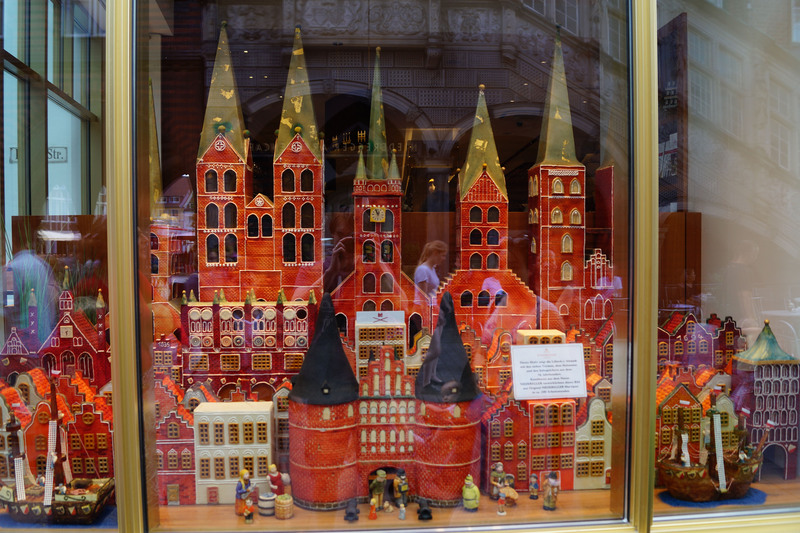 Lübeck is also home to Niederegger. I know, many people outside of Europe are not the biggest fans of Marzipan and especially Asians have a dislike for it however for most people here it is just wonderful. Enough of all the background info and lets start with our little trip around the city. We had luck with the weather as it wasn’t so hot anymore as the previous days and a little breeze from the ocean kept the air nicely fresh. After some confusing ride through the city (thanks to the GPS device slowly failing me…) we arrived at a parking garage and we could start our sightseeing tour. Okay, we actually headed straight to the restaurant I had picked out as it was already past noon and our stomachs were growling. Our destination was the restaurant “Kartoffer Keller” (Potato Celler) which had a variety of different dishes made out of, guess what, potatoes! 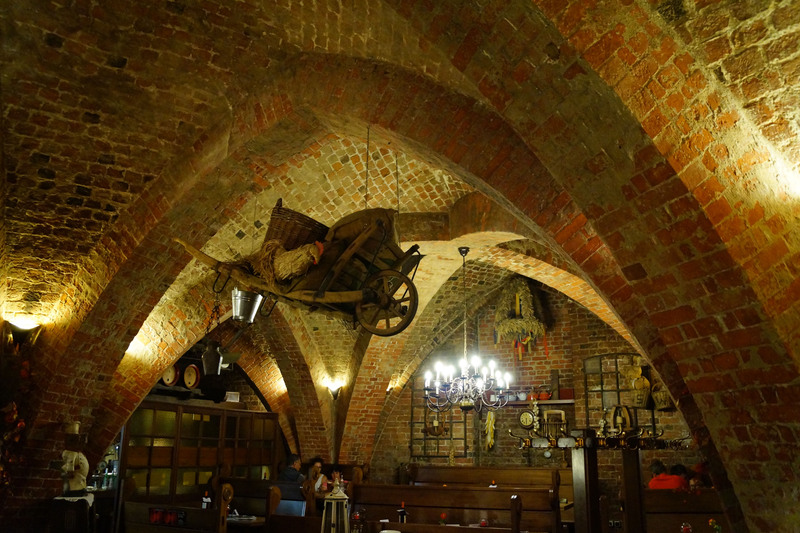 The restaurant itself is located in the historic vault of the old Heiligen-Geist-Hospital (somehting like Holy-Spirit-Hospital). It looked pretty impressive in my opinion especially as I havent been before in a restaurant located in a vault. I have only read about them such as Leipzig’s Auerbachs Keller featured on Henry Lee’s blog Fotoeins. I surely enjoyed my meal which was of course with potatoes (grilled potatoes) with egg, some unknown vegetables (all vegetables are unknown to me, I just call them the green stuff) and a steak, more than enough for me. The women however are not really fond of German food so they did not enjoy it so much. Nathan was a real hero and after he finished his own baby food he helped to empty his mother’s plate, he surely does love German food! Though the day seemed pretty short in Lübeck we did in fact spent nearly half day there and the only reason to head back home was because Nathan’s dinner time was approaching. 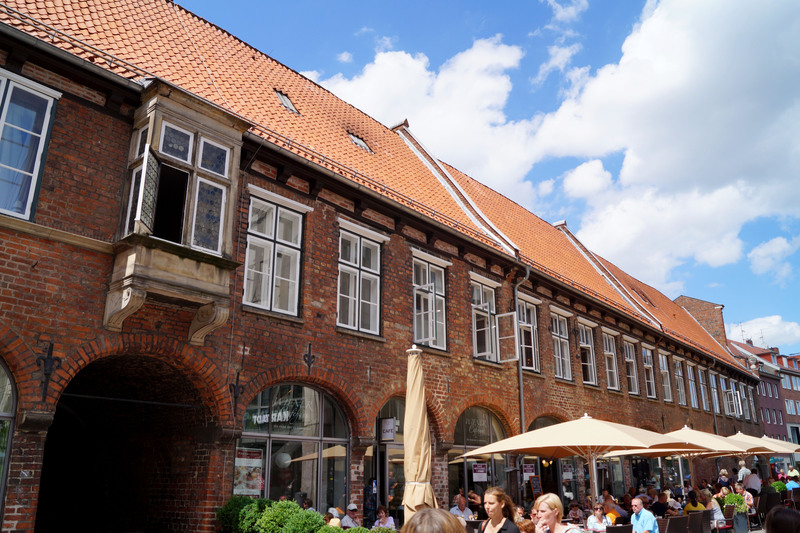 I certainly hope to go to Lübeck with my wife again in the near future as there is still so much I want to discover in the historical city center. One thing became clear during this trip: No more German food for the two women! What do you think about entrance fees in historical buildings such as churches and what is your opinion about German food?